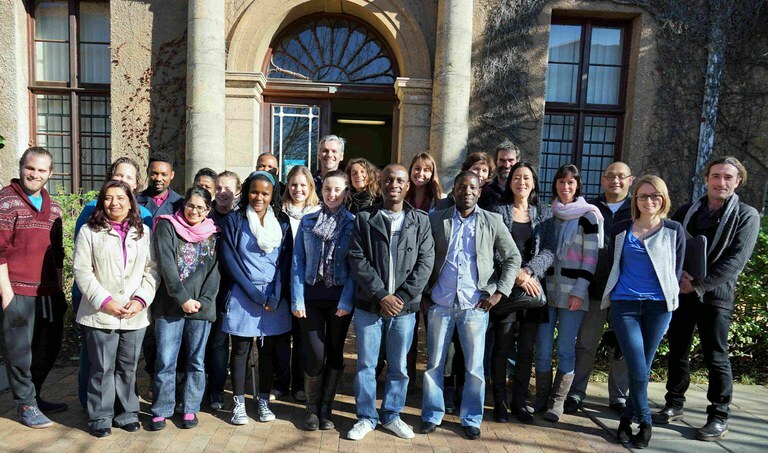 The ICEMASA Winter School “Modelling the marine ecosystem from the ocean to the fish” incorporating physics, biogeochemistry and the dynamics of marine ecosystems has been organized annually at UCT since 2011. The fourth session of this Winter School was held from 29 June to 10 July 2015. 17 participants attended the 2015 session. Consisting of a suite of lectures and hands-on sessions, this course aims at providing an overview of how marine ecosystems are represented in models, from the physics and the biogeochemistry to the fish. Emphasis is put on how the different components of the ecosystems interact and respond to fishing and climate drivers. Two ecosystem models were developed by IRD and implemented in the ICEMASA framework : OSMOSE and APECOSM. 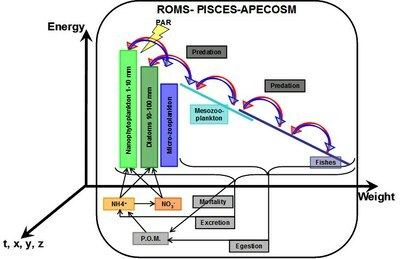 They allow coupling between physical and biological components in marine ecosystems.